I was in Houston this last week teaching procurement negotiation seminars. The other one, in response to me asking about how the food is in Houston, was “Ain’t nobody hungry in Houston.” In my case, that was definitely true. I can still taste the blackened catfish. As also promised, the weather was crazy, with 30 degree temperature swings in the matter of a few hours. In the same day, I wished I had both a trench coat and a pair of Bermuda shorts. One of the seminar attendees had previously attended one of my TCO seminars in Galveston, Texas. I’ll call him RD. RD said that as a result of attending that Total Cost seminar, he decided to root-cause a situation of escalating prices with one of his custom fabrication suppliers. RD’s supplier wanted to meet with him to renegotiate pricing to reflect increased costs. He decided to reluctantly hear what they had to say and find out more information. RD was in for a big surprise. Unbeknownst to RD, the supplier had been charging him 30% over standard price for a period of six months now, and to add insult to injury, wanted to increase it to a 35% markup over agreed upon standard pricing. It was bad enough RD was 30% over expected price, but the increase to 35% was taking it to another level! RD wanted an explanation, and quickly. He then saw all the purchase orders to the supplier, every last one of them, was a rush order shipment – requiring supplier quick turns and expedited delivery. Supplier quick turns mean inventory must always available, which costs money. This was customer specific inventory, which adds even more cost, as there could be no inventory sharing with other customers by the supplier. Of course the other obvious cost driver here is the shipping. Going from ground to air shipment is non-trivial in our field. Surely the customer is at fault here RD thought. That would be my first instinct too. Too often times, the customer’s lack of planning becomes purchasing’s emergency. Pretty soon it becomes standard practice and they don’t plan at all, and that’s when the last minute shipping costs really rack up. It turns out this wasn’t the case at all. The person who was placing the purchase orders for this division had just been hired 6 months prior. For some reason, she was taught that if a requisition comes in for these fabricated items with no delivery date, she should just put that the items were needed in five days. Five days lead-time for custom fabricated items! She was marking every single fabrication purchase order this way, with no idea of the TCO implications. She was just doing what she was told. Who can blame her? I was pretty clueless too when I first started purchasing. The mystery was solved. 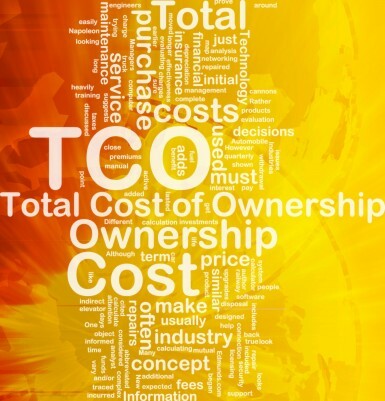 TCO was spiking by 30% because a poorly trained employee was rushing custom orders that nobody was in a rush to receive. The supplier was scrambling unnecessary to fulfill these orders, incurring all sorts of costs, and they were losing money in the process. This problem was easy enough to solve, but not before untold amounts of money went down the drain. The worst part is that nobody was happy about it! The supplier was losing money on the expedited shipping adder, the customer received items sooner than they needed them, and RD’s hard earned cost savings on the deal vanished into thin air. The sad thing is, this kind of scenario is not so uncommon. Well intentioned customers make bad TCO decisions all the time. Most of the time we never find out about it until a lot of damage is done. In fact, urgent shipping as a replacement for good planning practices is one of the most costly business practices that customers often engage in. Do you check to see what your customers are *actually* ordering against contracts you negotiate? Do you follow up to make sure that your supplier and contract TCO strategies have really materialized in the hands of your customers? It’s important for us to keep constant tabs on TCO well after the contract is negotiated. We really need to follow the entire lifecycle of the purchase and make sure that expenditures against that contract go as planned. On the plus side, my stomach wants to move to Texas. Failing that option, I have to find someplace where I can buy good blackened catfish back home, and fast! I really have no choice in the matter. I don’t care where I buy it or what it costs. Call me a rogue customer, but this is a definite rush order.